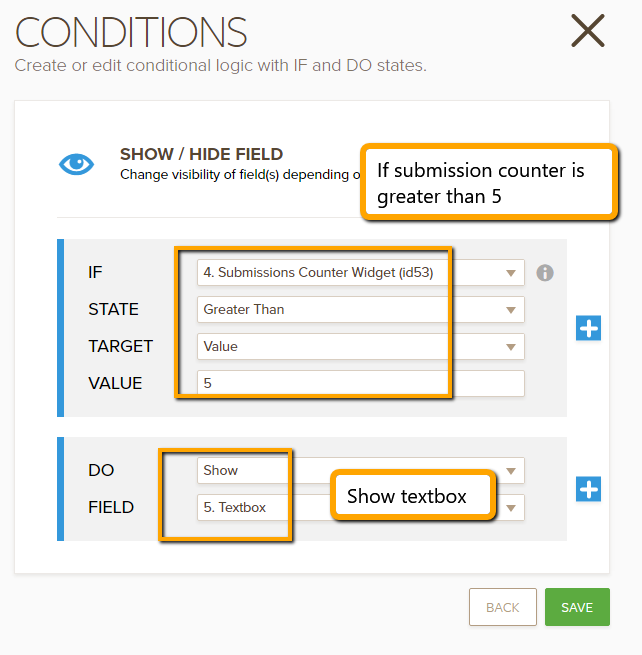 Submission Counter Widget: Conditions based on the submission counter widget are not being triggered when the form is loaded. You can see all of this in the JotfForm references below. In the form, there are two conditions that should trigger when the number of submissions is greater than 5. First condition is to make a hidden text box appear. I'm not sure how to handle the second condition to select a radio button option. In any case, when I try to test things, nothing happens. There are already 6 submissions associated with the form, so any new submission should trigger the conditional logic. To achieve your requirement, first, we will need a field that will tell us how many submissions you have received. The Submission Counter widget is suitable for this instance. It will tell us how many submissions your form has. In the example below, there are no submissions yet so the widget will show 0. Now we can add a Show/Hide condition that will show the textbox when the submission counter is greater than 5. 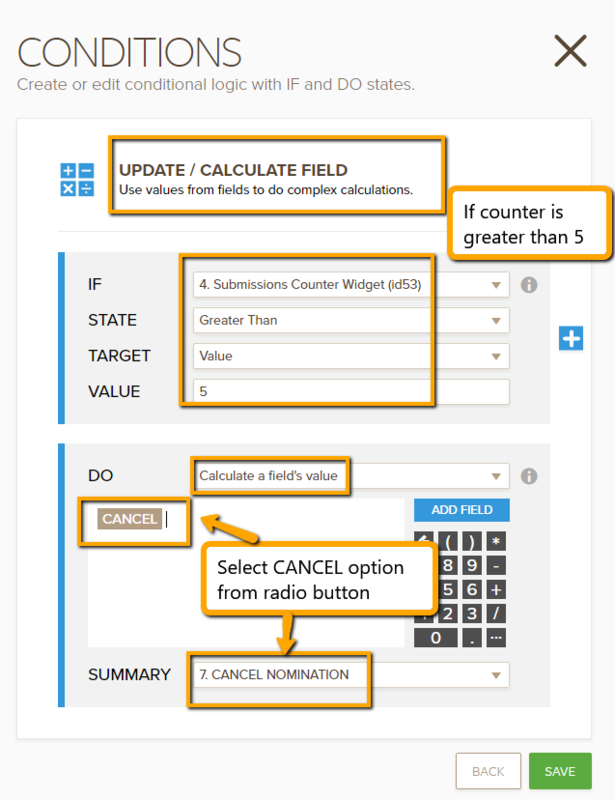 Then we will use the Update/Calculate condition to change the selected option in a radio button. To change the selection, simply enter the text of the option as seen in the radio field. So for example you want to select the "Cancel" option, you will need to enter the word "Cancel" in the calculate condition to select it. You can check out this demo form to see it in action: https://form.jotform.com/61720466444960. There are currently 2 submissions in the form. Once it exceeds 5, the textbox should show and the CANCEL option selected. You can also clone it to your account if you like. Regards. Sorry for the slow response, I've been away for a few days. I tried your suggestion using both a clone of your form, and also my own. Neither works. I also included conditions to change the "thank you" web page, and also a confirmation email. Both these happen once the submit button is pressed, and both things happen correctly (ie the condition is triggered). So to me it looks like the check on number of submissions is only made after the submission button is clicked, but not before. Later. I've been having a bit more of a look at this. It appears that the Submission Counter value gets set to <empty> at some point. I put in some test conditions (such as making a text box appear) to trigger when the counter value is empty, these work. 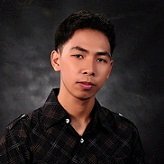 When the condition is set to other things (such as =0 or >1), nothing happens, even though there are any number of submissions in the system. I checked my demo form and it does seem like the condition is not being triggered properly. Only after I have submitted the form, then returned to the previous page, does the condition get triggered. Please allow me some time to investigate this further and I will get back to you once I am done testing. Regards. I made further tests on a test form and I was able to replicate the issue there too. The text below should be hidden if the submission is greater than 0. When I submit the form and click the return button on my browser to go back to the form, the condition is triggered properly. But when I load the form using the direct link or open the form in a new browser, the condition is not being triggered. I will have to escalate this issue to our backend team for further investigation. I will let you know on this thread once we have an update. Regards. Hello again @MtCoolumVets. I would like to inform you that the issue regarding the conditions for Submission Counter widget has been resolved. The condition based on the Submission Counter Widget should now be triggered successfully on your form. Here's a couple of demo forms that you can check out. Thanks. It all works now - well done.